Some of our customers at Bockman’s Auto Care are surprised to learn that there are actually two service schedules for their vehicles. One is the regular schedule and the other is the severe service schedule. So you can see that a lot has to do with how you drive, but some has to do with where you drive. Some areas of the country will be more or less severe than it is here in DeKalb County. What type of motor oil is best for my vehicle’s engine? Motor oil is used in automobile and truck internal combustion engines as lubrication for the engine’s moving parts, to clean the engine, help prevent corrosion, improve the sealing properties of various elements in the engine and help cool the engine by carrying away heat from moving parts. Motor oil is normally made from heavy, thick petroleum hydrocarbons found in crude oil. Some oils, however, are entirely synthetic (derived from mineral or non-mineral based oils) or a synthetic blend (or hydrocarbon-based oils and synthetic-based oils). But which motor oil is best for your vehicle and what’s the difference between all the different types, weights and other options? What started out many years ago as a small unnamed and unofficial picnic for the faithful of St. George Greek Orthodox Church in DeKalb, has over the years experienced great growth and popularity and is now a major annual community event in the DeKalb Sycamore area. It is now known simply as Greek Fest. The two day festival features authentic Geek food, lively Greek and American music, dance performances by the Chicago based Ellas Dance Troupe which will be performing on Saturday at 1:00, 3:00 and 6:00 for your entertainment pleasure. They will perform dances popular from the different islands of Greece and made famous by the motion picture movie Zorba the Greek. You will not want to miss this! There will also be games for the kids, a Greek grocery store and commercial vendor booths and arts & crafts for your shopping pleasure. 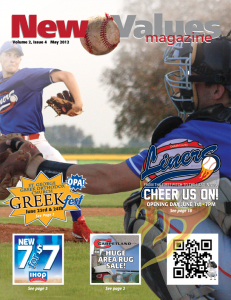 In addition to our normal Crosswordvertisers crossword puzzle, we added a some trivia to the June issue of New Values Magazine. For those of you who missed it in the printed magazine, here are the questions again, with the answers below. See how much you know about America’s Favorite Past Time! This player had the longest career in baseball history which lasted from 1966 to 1993 and carried him through four teams where he struck out the most batters by sneaking balls past 5,714 players. This player has the highest lifetime batting average of .367. This player is the King of grand slam homers, hitting 23 in the span of his career. This player hold the record for most games won (511) and most games lost (316) in his career. This player competed in 22 World Series games, pitched 146 World Series innings, and was on the winning team for 10 World Series games. These players were the first father/son team to play together. They added to their records by hitting home runs “back-t0-back” in the same game. This player showed his bravery by capturing the title of Cy Young Award for four consecutive years. This player stuck it out for 2,131 consecutive games (that’s a lot of baseball! ), breaking Lou Gehrig’s record of 2,130 games. This pitcher for the Rangers was studying medicine off-season and was able to save a fan’s life when the man had a heart attack. This 17-year-old baseball star struck out 15 batters in the first show of the major leagues in 1936. Summer is in full swing and there’s one thing for sure — the sun’s rays do a lot of damage to your eyes. Well, you can provide protection as well as make a statement with a stylish frame by considering a few pointers on how to pick the right pair of sunglasses. First, though, a bit about why you should always wear sunglasses. Just as the sun’s ultraviolet (UV) rays can damage your skin, they can also harm the lens and cornea of your eye. Long term (as in years — the sun’s damage is cumulative) exposure to UV radiation increases your odds of getting cataracts and has been linked to macular degeneration, a degenerative (though treatable) disease of the macula that is essential for sharp vision. And while you mainly think of sunlight as it travels from the sun, through the air and into your eyes, just as important to guard against is sunlight that bounces off of highly-reflective surfaces such as water, sand and pavement. Sunglasses play a pivotal role in shielding the eye’s fragile tissue from UV radiation. Like sunscreen, sunglasses should be worn whenever you’re outdoors, year round. Get a jump start on summer fitness this week with free classes offered by FitWorkz of of DeKalb. From Monday, June 27th through this Saturday, July 2nd, we’re featuring free classes to give you a taste of how you can get — and keep — fit at FitWorkz this summer. We offer classes in pilates, yoga, stretch and strength, and a Zumba-like dance and exercise class we call “Dance! Dance! Dance!”. 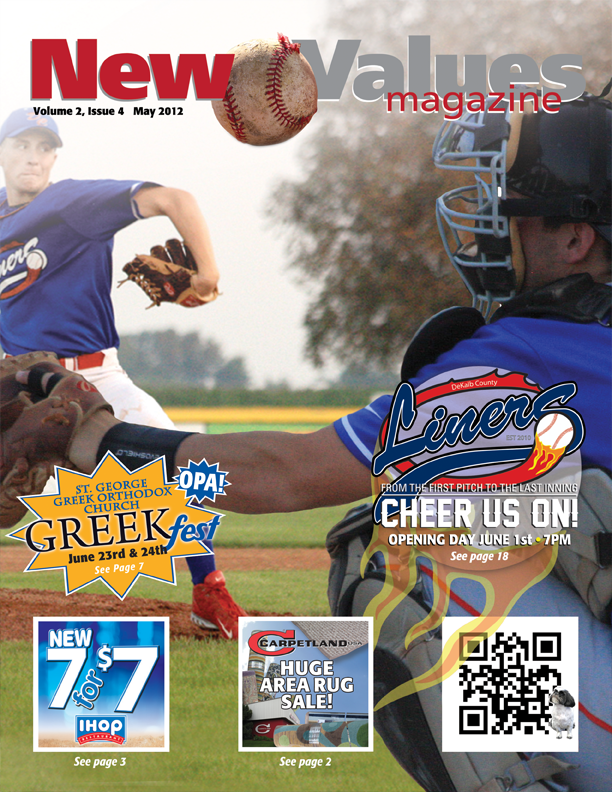 June 2011 New Values Magazine arrives! Are you ready for summer? 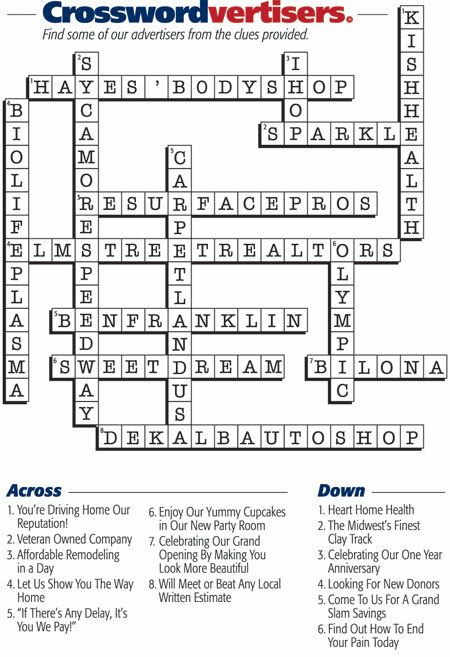 Our advertisers are with 24 pages of super summer values and other great information like puzzles, trivia and community announcements. 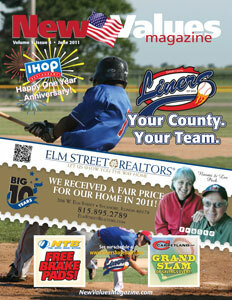 Check out the June issue of New Values Magazine, DeKalb County’s leading monthly coupon magazine! As we age, the probability that we’ll suffer from an eye disorder increases significantly. By age 65, about one-third of adults will have a vision impairment condition and by age 80, that percentage increases to 50% of us. One of the most common conditions affecting older Americans is age-related macular degeneration or AMD. It’s the leading cause of blindness in adults over age 55. AMD results from the breakdown of the macula or small area in the retina at the back of the eye. Contributing factors to AMD include exposure to sunlight, smoking and even everyday contaminants in your environment. One preventative solution to AMD are antioxidants. Research over the past decades has shown that eye health is linked closely to diet and lifestyle. Being overweight, diabetic, smoking, eating a high-fat diet and consuming alcohol excessively can all contribute to poor eye health. Eating a diet low in fruits and vegetables is also shown to be detrimental. Everyone has heard of cataracts, but what, exactly, are they? They’re a clouding of the lens inside the eye. They’re detected during a normal eye exam and are somewhat common with adults over the age of 40 (and increasing as we age). As they are so common and tend to progress slowly, your eyecare physician should monitor their progression as you grow older. As we age, our body’s system experiences some form of damage from toxic material we absorb from the environment. Although initially non-lethal, this gradual poisoning of one’s physiology eventually becomes the source of chronic disease and fatal systemic failure. Allergies, metabolic by-products, anxiety, emotional distress, genetic and metabolic disorders, excessive fat, sugar or protein in one’s diet, nutritional deficiencies, environmental poisons, heavy metals, infectious agents, smoking, lack of sleep and other noxious agents are all toxic components in everyone’s daily pattern of living that increase an individual’s susceptibility to a variety of maladies, including cancer, cardiovascular diseases, diabetes and stroke. These factors bring oxidative stress and depress the immune system. Cancer touches all of our lives, directly or indirectly. You may be a cancer patient yourself undergoing treatment now. You may be a survivor and in various stages of recovery or remission. You may be a caregiver, family member or a friend of someone affected by cancer. Cancer was once considered a deadly, incurable disease. For many, cancer is now survivable and curable. Still, it is the second leading cause of death in the United States. 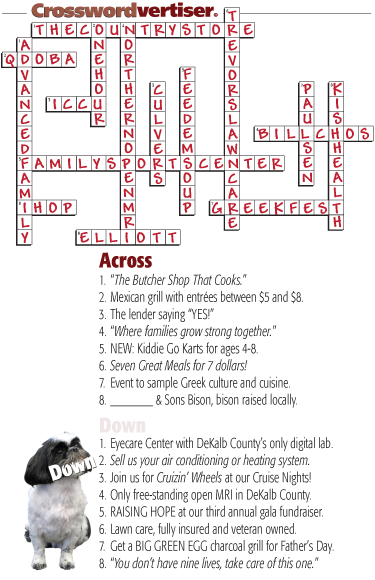 DeKalb County has several wonderful events that help raise awareness as well as funds for cancer research. 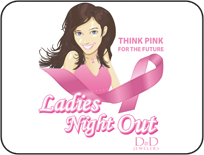 Ladies Night Out in downtown Sycamore on June 9th draws large crowds — dress in pink! Relay for Life is another annual event (held this year, June 17th and 18th). Make plans to attend and enjoy these events.We all can help make a difference. If you’ve ever had a sunburn on your skin, you’ve experienced the harmful effects of the sun’s ultraviolet (UV) rays. What you might not be aware of is the damage that these rays can cause to your eyes, especially the fact that the damage caused is cumulative — you may not realize the damage until years later. Cataracts: Lab studies have implicated UV radiation as a cause of cataracts. It has also been shown that certain types of cataracts are associated with a history of higher ocular exposure to UV — and especially UV-B — radiation.